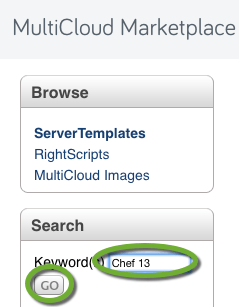 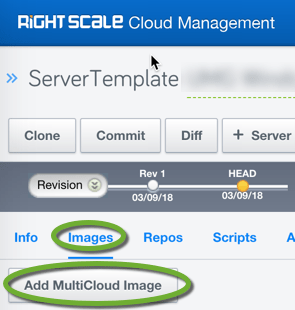 The RightScale server templates publish server images to launch. 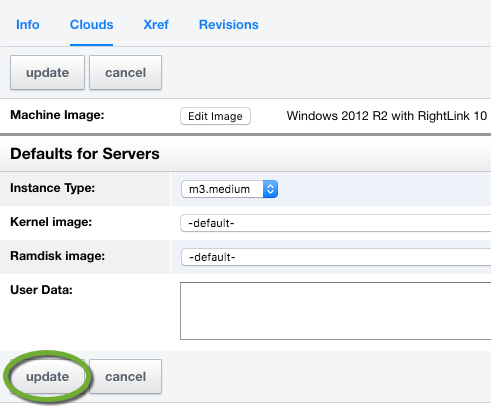 It is advisable to create your own server image because the cloud providers can remove their published images anytime. 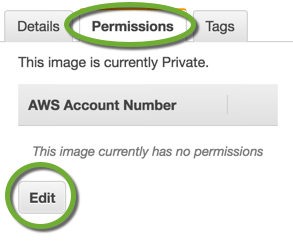 If you generate your own image, you control the lifecycle of those. 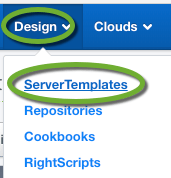 Use Packer to create a new server image. 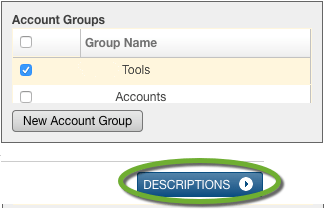 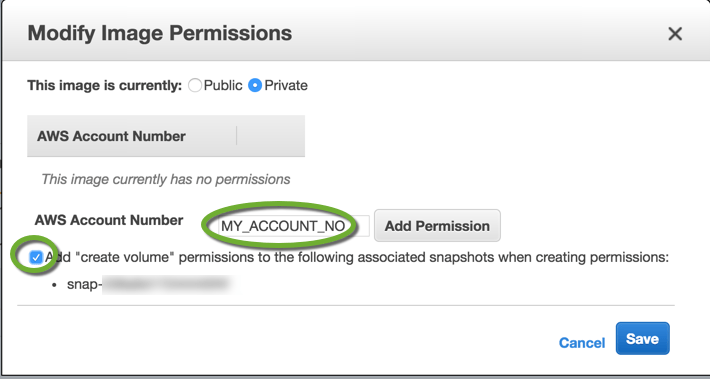 Keep the image private, but share it with the AWs account you create the server template in. 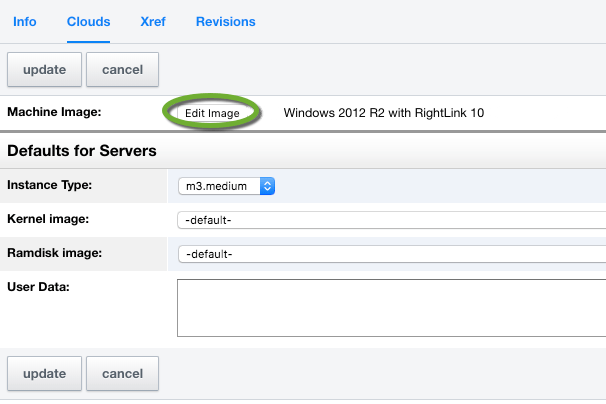 Make sure the image is visible in RightScale. 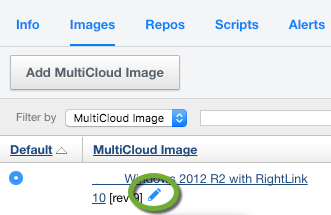 It can take 30 minutes for the new image to appear in the list. 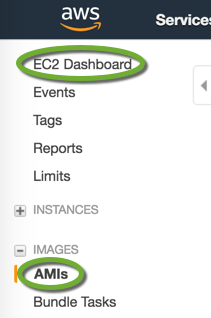 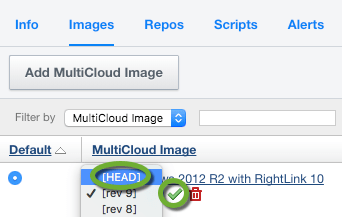 TEMPORARILY select the HEAD revision for the MultiCloud Image and click the green check mark to save the selection. 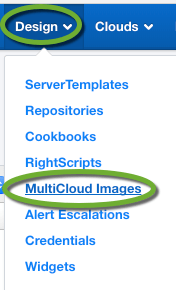 When you have successfully tested the new MultiCloud Image create a new version of it.